A lawn mower's blades might be to blame for a problem. Clogged fuel pumps can affect a lawn mower's ability to operate. Faulty carburetors are the number one cause of lawn mower performance problems. Lawn mowers that will not start are a common problem that can have numerous culprits. Another issue that people have with these machines is that sometimes the engines overheat or white smoke comes from the exhaust. 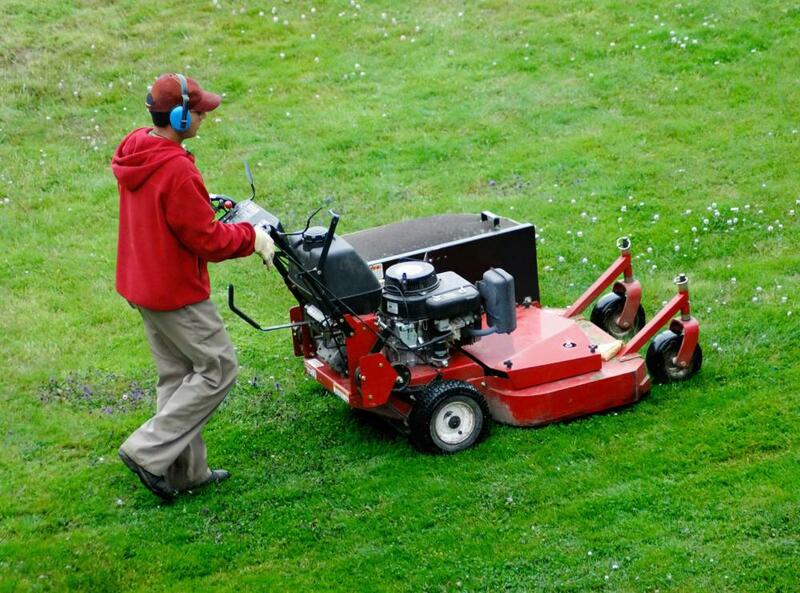 Damaged or dull blades can also result in a number of lawn mower problems. When lawn mower trouble arises, owners should try to repair the lawn mower as soon as possible to prevent further issues. Failure to start is one of the most common lawn mower problems. Sometimes this occurs due to easily resolved human errors, such as not being seated when turning the key, allowing the machine to run out of fuel, or not pressing the brake pedal when attempting to start the lawn mower. Other problems that can prevent starting include fouled or loosely installed spark plugs, bad air filters, or a broken flywheel key. In many instances, if a person has the patience to go through a process of trial and error, the problem can be fixed in the yard. The blades can contribute to several common lawn mower problems. Sometimes impact can cause lawn mower blades to bend, which can result in moderate to severe shaking. Continuing to operate in this manner is not advisable. 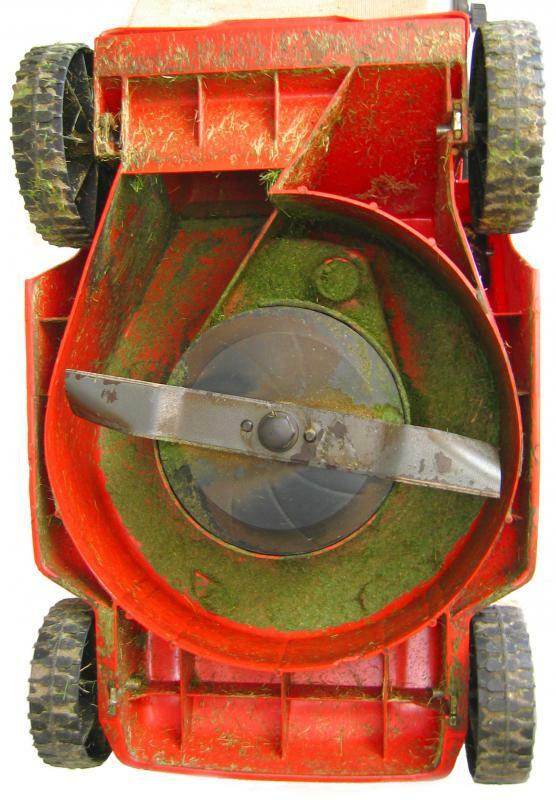 Dull blades are an issue that arises periodically for those who keep their lawn mowers for an extended period of time and which, among other things, has the potential to negatively affect the balance of the lawn mower and diminish cutting quality. 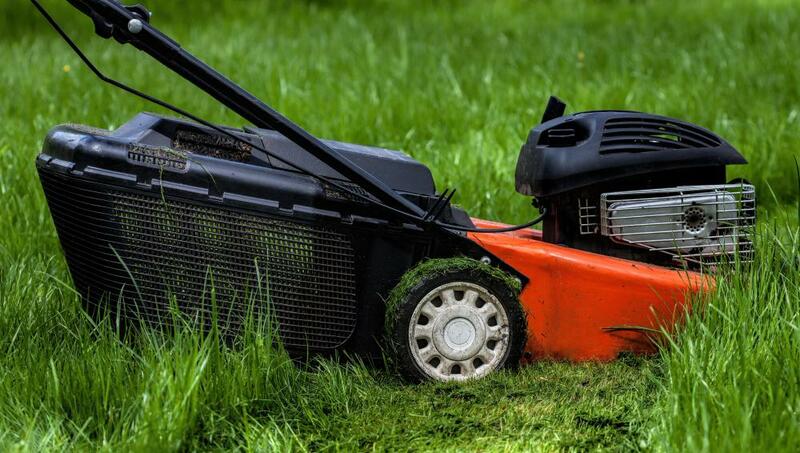 An overheating engine can be caused by a number of lawn mower problems. Some people do not prioritize finding the cause because they can still operate the machine until it overheats and again later when its temperature drops. This is not advisable because it can be a minor problem that is easily solved. When it is ignored, however, it can lead to major problems. If this issue arises, one of the first things a person should check for is grass blocking the exhaust. Many lawn mower owners believe that it is sure doom when they see white smoke coming from the exhaust. Several things can cause this, however, and they are not all as bad as an individual may expect. One potential cause is a clogged air filter that results in oil being sucked into the engine and filling the muffler. The problem may be caused by water in the fuel. It is also possible that the engine may need to be replaced. Two other common lawn mower problems are financial burdens created by unnecessary replacement or unnecessarily hiring landscapers due to breakdowns. Many people are simply unaware that there are small engine repair or lawn mower maintenance businesses that can get their machines operating in a short time. People also tend to be unaware that, in many instances, these services are quite economical. What is a Lawn Mower Spark Plug? When my last mower finally quit running, a friend gave me her used mower. She had stopped using the mower a couple years earlier when she started hiring a yard service to cut her grass. The machine had been working fine the last time she used it. The lawn mower looked great. Well, there were a few rust spots. It had been stored in a shelter. I don't know a great deal about mowers, other than how to cut the grass with one, so I took it to a lawn mower service center to see what it needed. could rebuild the carburetor with a kit at first, but when he did this it was still leaking gas. Eventually he replaced the piece with a new carburetor. I hadn't planned to put that much money into the lawn mower parts and repairs, but once I started I was stuck. I could have bought a new mower for a little more than I paid for the repairs on the old one. I usually have my push lawn mower serviced at the beginning of each season at a small lawn mower repair shop near me. When the repair man changes the oil, filter and spark plug the mower doesn't normally give me any problems. A quality push mower can last you a very long time when you service it and keep it stored in a good location so it doesn't get wet and isn't exposed to severe temperatures in the winter.